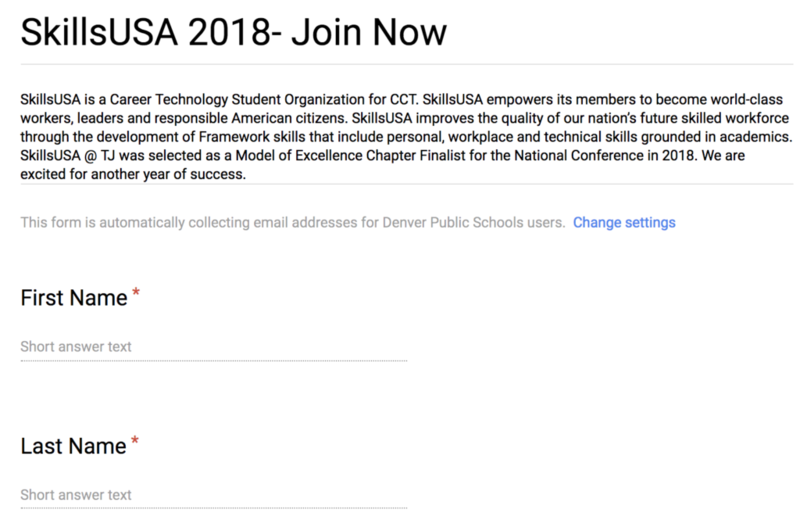 Membership to SkillsUSA cost $8.50 for State membership and $8.50 for National membership. Both memberships are required. All students who are part of the Center for Communication Technology (CCT) are qualified to join. Fees for membership are paid by CCT. If you are not part of CCT, please see Mr. Esparza, room 105.